What's crazier than spending six hours a day EVERYDAY with a room full of eight-year-olds? The answer is...not much. 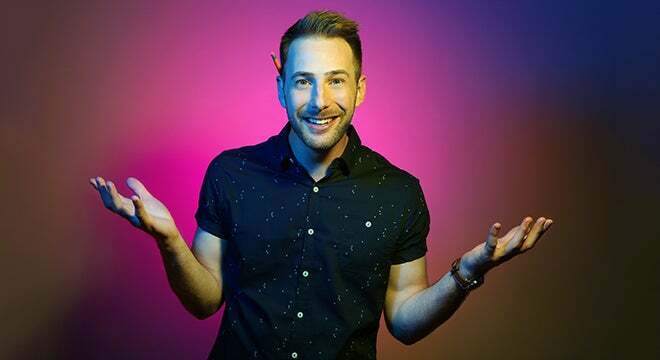 Comedian, internet sensation and Michigan native, Joe "Mr. D" Dombrowski, walks you through the insanity of elementary school teaching with his stand-up comedy tour, “Indoor Recess,” at the City Theatre for two shows on Saturday, April 6 at 7:30 p.m. and 10 p.m.
Joe "Mr.D" Dombrowski is a stand-up comedian and also, somehow, a full-time elementary school teacher in Seattle, Washington. Since Joe's viral fake spelling test prank in 2017, he has been traveling the world making people laugh at the reality of working with kids aka "booger eaters." Joe has been featured multiple times on the Ellen DeGeneres Show, Pickler & Ben, GMA, BuzzFeed and more. Visit mrdtimes.com for more information.